Hello again, stamping friend! 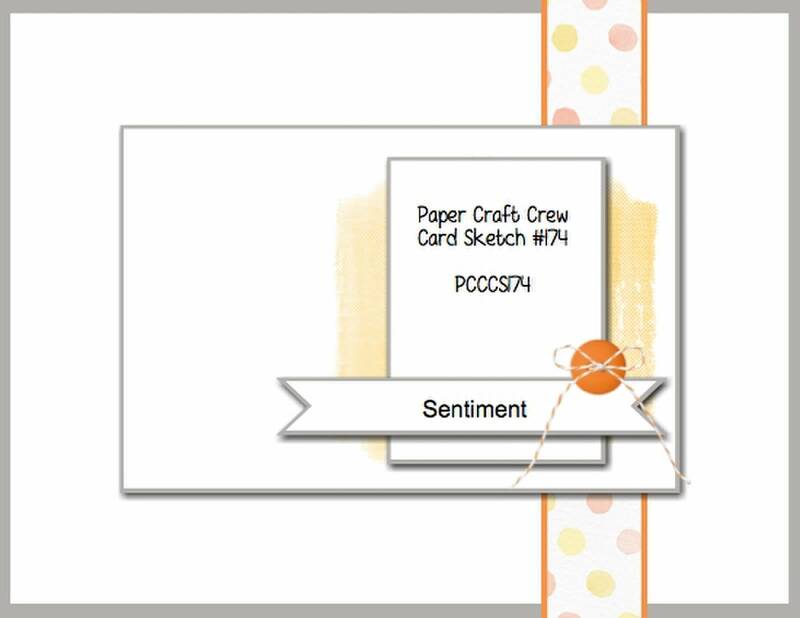 Good to see you again, for another challenge with the Paper Craft Crew! As I was going through my stamp sets, trying to decide which to use, I came across the retired Snow Swirled set, and just had to use the gorgeous tree! Then, when I’m thinking of the stamp name ‘Snow Swirled’, that makes me think of wind blowing, swirling the snow around – so I used the large swirling design from another of my favourites – and still current – Everything Eleanor. These designs, to me, just cry out for heat embossing, so I happily obliged! 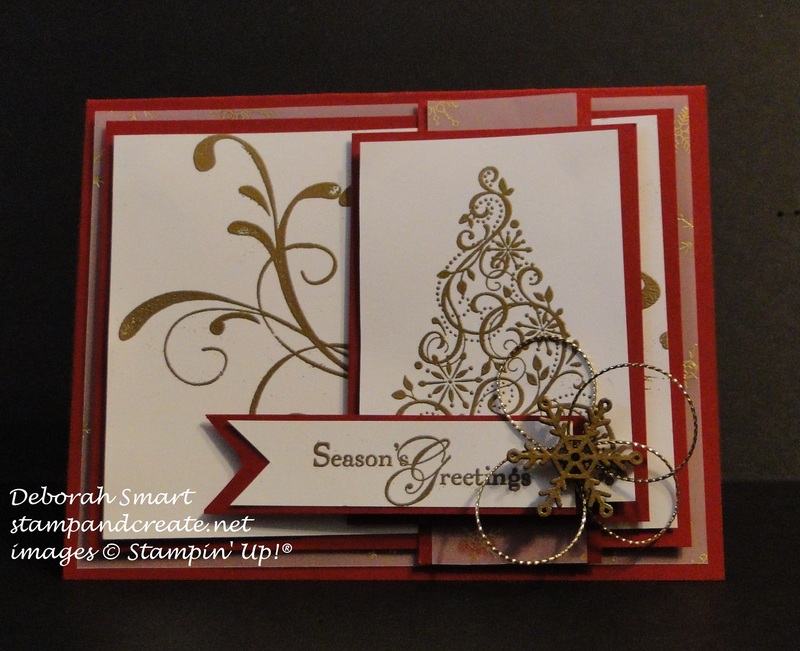 I did a lot of layering on this card, using Cherry Cobbler cardstock, Winter Wonderland Designer Vellum (snowflake pattern), and Whisper White cardstock. The images and sentiment were all stamped in Versamark ink, then heat embossed with Gold Embossing Powder. I also used one of our wooden Snowflake Elements, pressed it into the Versamark ink pad, then covered it with Gold Embossing Powder & heat embossed it, to make it gold, as well. I added a few loops of the Gold Cording Trim under the Snowflake Element, attached to the sentiment and was done! The most time consuming part about this card was cutting all the layers! I do hope that you’ll check out the amazing cards that the rest of the Design Team have made for your inspiration, and then join in the challenge yourself! This is our usual 1 week challenge; next week it will be a 2 week long challenge, giving everyone time to enjoy the holidays! I’ll be looking for your card on the challenge page! Next Next post: Sneak Peek – New Occasions and Sale-a-bration! Hi Deb, Spectacular card! Love the combo of Snow Swirled with Everything Eleanor! Your colors and heat embossing are just beautiful together. Thanks for sharing! !